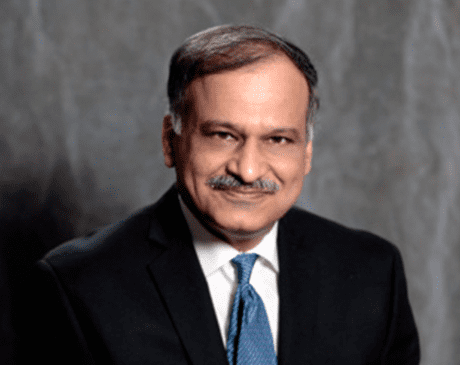 Alok Katyal, MD, FACC, is an attentive board-certified cardiologist with more than three decades of experience who currently serves men and women at St. Louis Heart and Vascular with six locations in St. Louis, St. Charles, and Bridgeton, Missouri, and Granite City, Illinois. In 1987, Dr. Katyal graduated from the Karnataka Institute of Medical Sciences in Karnataka, India. He went on to receive his medical degree from the Jawaharlal Nehru Medical College and Hospital at the Aligarh Muslim University, also in India. Dr. Katyal then moved from India to the United States, completing his residency at St. Luke’s Hospital in Chesterfield, Missouri, before finishing his fellowship in cardiovascular disease at the University of Illinois College of Medicine in Chicago. Dr. Katyal provides a range of effective services and treats a number of conditions, including atrial fibrillation, aneurysms, angina, acute coronary syndrome, aortic valve disease, congenital heart defects, hypertension, and heart murmurs. To develop a clear, in-depth picture of your heart health, Dr. Katyal specializes in state-of-the-art cardiac imaging and testing such as stress testing. He has also been recognized on the Healthgrades Honor Roll and is affiliated with the SSM Health DePaul Hospital, SSM Health St. Mary’s Hospital, and SSM Health St. Joseph Hospital, all in Missouri. Knowing the vital importance of this organ to your well-being, Dr. Katyal offers the highest level of health care and the latest cardiological advancements to help you take better care of your heart.